"The good location for visitor's and comfortable with shoppin..."
Have a question for Hotel Kimberly Manila? "Staff and facilities were fabulous." 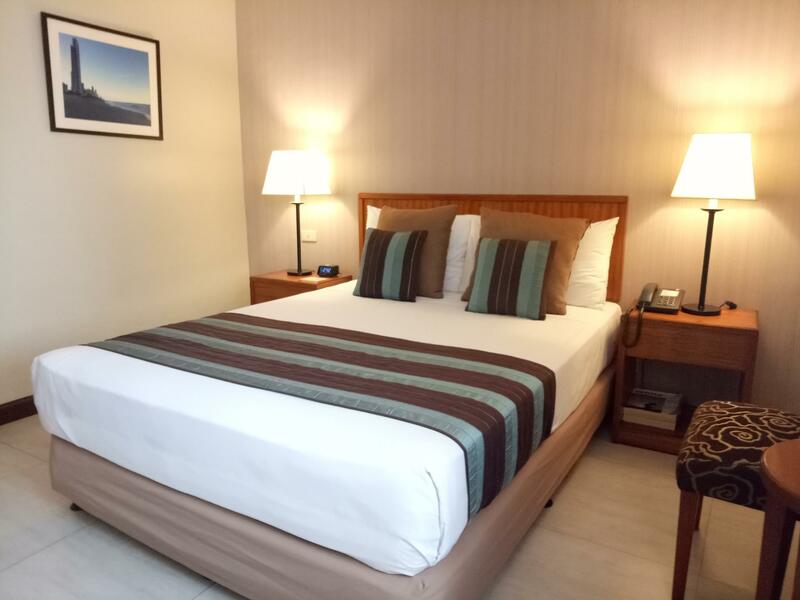 "This hotel is location is quite accessible, it is near to the Robinson shopping center and overall quite near to the airport." "The staff are friendly, when we goes into the room, it is clean and spacious, there is 1 queen size bed and 2 single beds." "The hotel lobby was very welcoming and the staff was friendl..."
Whether you're visiting for a weekend or a longer stay, you're bound to love the excellent location of the Hotel Kimberly Manila. The rooms at this hotel have street and city views for guests to choose from, so you can enjoy pleasing scenery. 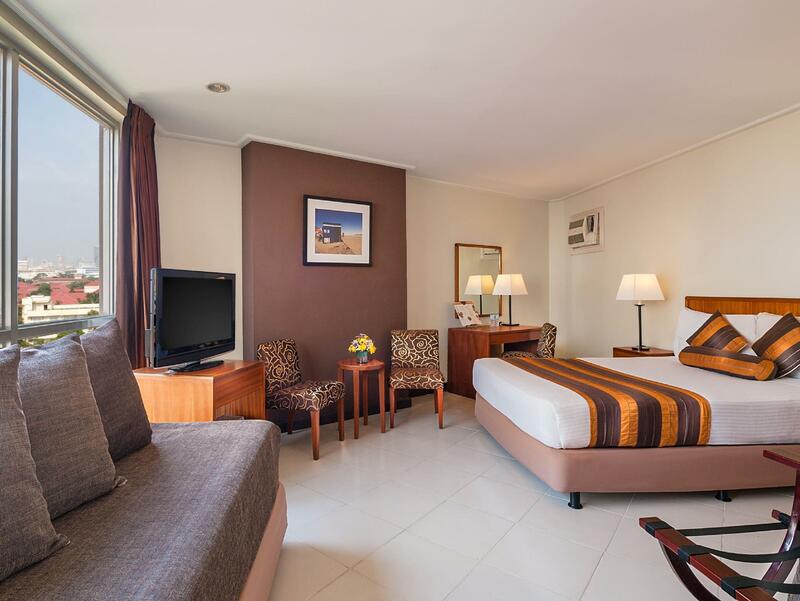 This hotel is near Malate District, Robinsons Place Manila, Casino Filipino Malate Branch, Remedios Circle, and Paco Park. It has several convenient features, such as safety deposit boxes, shops, as well as a smoking area. To make your vacation truly relaxing, you can take a short break from your other activities and pamper yourself for a few hours with a massage. Offering guided tours, the Hotel Kimberly Manila is a great spot to stay to learn about the area and see everything you can while you're here. Featuring family rooms, the hotel offers adequate space for your whole family to hang out together. It has a bar, restaurants on-site, a coffee shop, and room service, so there is a selection of dining and snacking options. 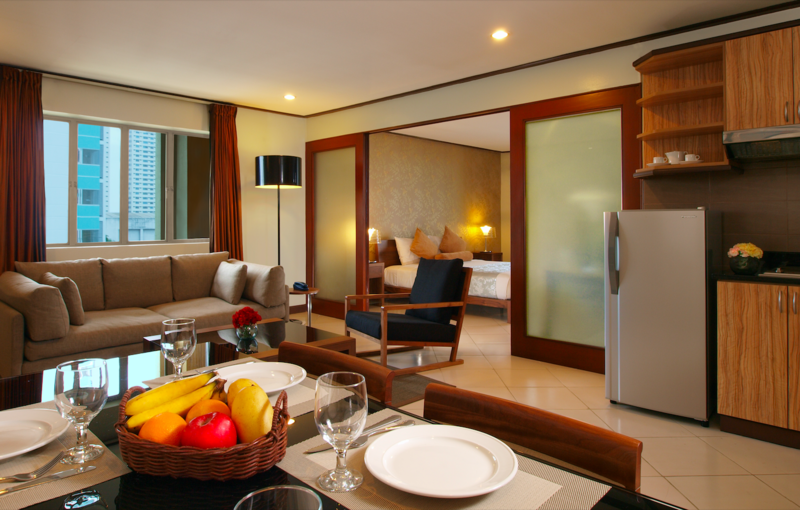 The Hotel Kimberly Manila has air conditioning, so your stay will be comfortable. From a concierge to luggage storage, the Hotel Kimberly Manila has a range of useful services to help guests get the most out of their visit. There's free Wi-Fi available in all rooms, as well as Wi-Fi in common areas, so visitors won't have to spend money on purchasing a local sim card. With an around-the-clock front desk, this hotel ensures that there is always someone on call to answer any questions you may have at all hours of the day or night. Check-in is offered from 02:00 PM and check-out is until 12:00 PM. The hotel has a variety of transport options which include airport transfers, car rentals, and shuttle services. With public transportation close by, you can get around easily. The nearest airports are Ninoy Aquino International Airport (MNL) and Clark International Airport (CRK), which are 7.3 km and 81.7 km away. "My room was upgraded free of charge." Loft Deluxe and Family Loft rooms are located in a different building. Pool and gym access is not included for bookings for the loft rooms. For guests who book with sightseeing tour, please contact the property 1 day in advance for scheduling and arranging the tour. Staff are friendly and helpful as always. Appreciate the room upgrade for our stay. The only suggestion is the breakfast, it would be better for more options. i feel safe in this hotel. nearby food joints, chapel, hospital and mall makes this hotel an ideal place to stay. The hotel lobby was very welcoming and the staff was friendly. We added another room for my uncle’s family (3) and they found another room available for a night. The room was nice and clean and spacious. But the breakfast buffet was a let down a bit. It was too ordinary not much to choose from. HI Marilou, appreciate the feedback about your stay. We have taken note of your comments about the breakfast selection and forwarded it to management. This hotel is location is quite accessible, it is near to the Robinson shopping center and overall quite near to the airport. When we reached around 11am, the hotel room is still not ready yet and can only checked in after 2pm. The staff are friendly, when we goes into the room, it is clean and spacious, there is 1 queen size bed and 2 single beds. The wifi is strong and air con is cold. Hot shower is available too, good after a long day walk in Manila. Bed overall quality still soft, but the pillow is a bit high, which I not really used to it. Breakfast available, varieties not much though . Highly recommended. Thank you Ai for your feedback. This has been forwarded to Management for their review so that we can take this in consideration for future improvements. Very nice room and staff! Great location, clean hotel room and friendly staff. I love the staff ,very accomodating and always willing to help . Thank you to Raffy for always helping us with our documents and grab call . The location is superb,everything you need is in your hand , and made it east for everybody. We will definitely come back again. It is our pleasure to assist during your stay.Look forward to welcoming you here again Rodelyn! Great location in Malate. 5 minutes to mall, walking distance to historic sites, nice staff and good breakfast. I had try red planet binolo, red planet mabini and kimbery for this biz trip, and abslotely kimbery is the best, whatever consider base on enviroment, position, location, stuff and equipment, it's wonderful, Ms.Cielo is very helpful and kindness, it's a very wonderul memory of philipine. Although it is a classic downtown Manila location dirty and noisy it is really conveniently located by Robinson mall. Staff and facilities were fabulous. Clean helpful good beds and shower tv channels good breakfast and reasonable alternative food options in the bistro. Definitely going back. Stayed in all of the 5 star hotels in manila before and just wasted my Money Kimberley all the way for me. HI Mark! We are happy to hear that you enjoy your stay with us and plan on coming back. We appreciate the specific feedback given as this helps us to better our services and amenities for guests. Thank you! Front desk staff are courteous and attended to our check in immediately. Housekeeping is very good except that they should check completeness of the visitors' usual needs inside the hotel before check in and not us to remind them. Toilet bowl flush valve should be replaced. Both 2 rooms we occupied have old toilet bowls flush valve that needs replacement already. Management should check all rooms and make check list of items that needs to be repaired and replaced. Management might want to consider issuing 2 door key cards per room. Key cards i also noticed were due for replacement as they look dirty. Dear Remedios Thank you for staying wit us and providing us feedback about the rooms. Good location. Good breakfast. Only when you ask for assistance, you will have to call again because they will not respond immediately. But overall, we had a nice stay. Actually, this is our third time to stay in this hotel. HI Maria, thank you for choosing to stay with us every time you are in Manila. We apologise for the wait, and the need to follow up with our staff with regards to requests. This is certainly not our standard, and we have brought this up to management. Thank you. We stayed in their family room and it was very clean and spacious. The staffs were also very friendly and helpful. Great location! The nearest mall is a 5-minute walk and there are a lot of stores and restaurants as well. The room is spacious and comfortable as we stayed in superior triple and deluxe triple. We extended our stay for two more days. The room are well cleaned daily. The hotel is a walking distance to a mall and nearby fastfood outlets. My only gripe , is that the check in clerk ,would not allow my girl , to access my room , while waiting my arrival . I sent my request early , when I booked the room . Adamant , that she would not be allowed in the room ! Sent the the receipt number of booking / id /etc ...to no avail....then sent a text , to tell them to refund the money to Agoda , if she was not allowed in...surprise / surprise ! I was totally pissed off with this too , as I had missed my earlier flight from Australia , and was arriving the next day , and did not want my girl , to turn around , get back on the bus , to Bulucan ! The room was excellent , with the facilities . We booked for a Superior Quad Room and was upgraded to Deluxe Quad Room. The hotel staff are all accommodating and friendly. Our room was very nice and was always cleaned by the attendants. The free ( buffet )breakfast were all very delicious.. The place is in good location if touring Manila is your itinerary. Overall, the service was excellent. Thank you Hotel Kimberly for making our stay memorable and great!